If you are searching for the most accurate Spanish Dictionary and Translation apps for your iPhone and iPad with all kinds of additional functions that make them valuable to learners, this apps list is going to be very helpful for you. In this article, you can see 12 most accurate spanish dictionary and translation apps for iPhone and iPad. 1. English Spanish Dictionary - Unabridged ( iPhone + iPad ) :- It is one of the best and largest Spanish to English and English to Spanish dictionany apps available on App Store for iPhone and iPad. 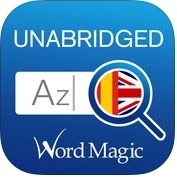 English Spanish Dictionary-Unabridged app has lots of wonderful and unique features such as more than 1 million entries, more than 2 millions translations, over 3 millions synonyms, more than 800,000 antonyms, more than 100,000 definitions, more than 96 thousands examples, more than 100,000 quotes and over 60 thousands images, conjugation of Spanish and English verbs, enabled search for plurals, feminine forms and verb conjugations, natural sounding voices for entries, definitions and examples in bilingual (British and American English, European and American Spanish), phonetic transcription, fuzzy search, work offline easily, intelligent word list display and many more. 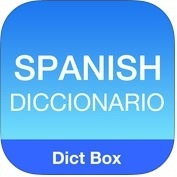 This is one of the most useful Spanish dictionary apps for iPhone and iPad. 2. Collins Spanish-English Translation Dictionary and Verbs ( iPhone + iPad ) :- This accurate Spanish Dictionary and Translation app has very simple user interface that lets you use this dictionary app effortlessly without internet connection on your iPhone and iPad. Collins Spanish-English Translation Dictionary and Verbs app has lots of fabulous and user-friendly features such as more than 100,000 translations, more than hundreds of usage notes and examples, works offline easily, tap and hold any word or phrase, slang, technical language & regional differences in spelling and usage, smart search results in case you misspell or mistype, conjugations for thousands of Spanish and English verbs, language swapper button to switch from Spanish-English to English-Spanish and more. 3. 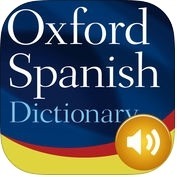 Oxford Spanish Dictionary ( iPhone + iPad ) :- Are you a native English speaker and want to speak Spanish frequently? You should use Oxford Spanish Dictionary app on your iPhone and iPad to do so. This accurate Spanish dictionary and translation app has several amazing and user-friendly features such as bilingual dictionary, more than 300,000 words and phrases, over 1 million translations, packed full of grammatical and usage information for both languages, search millions of words of web-based text and more. 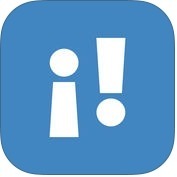 This Spanish dictionary and translation app is very helpful and easy-to-use on iPhone and iPad. 4. Spanish-English Translation Dictionary and Verbs ( iPhone + iPad ) :- If you want download the best, outstanding and a full-featured offline Spanish to English dictionary app on your iPhone and iPad, you can use Spanish-English Translation Dictionary and Verbs app. It is absolutely wonderful and very helpful to learn Spanish. This best Spanish dictionary app has effective and unique features such as no internet connection required, over 200,000 translations, thousands of Spanish and English verbs, hundreds of usage notes & examples, tap and hold any word or phrase, smart search results in case you misspell or mistype and more. 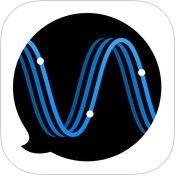 5. iTranslate Voice - Speak & Translate in Real Time ( iPhone + iPad ) :- Do you want to speak in Spanish fluently without any hesitation? If yes, you can use iTranslate Voice-Speak & Translate in Real Time app on your iPhone and iPad. 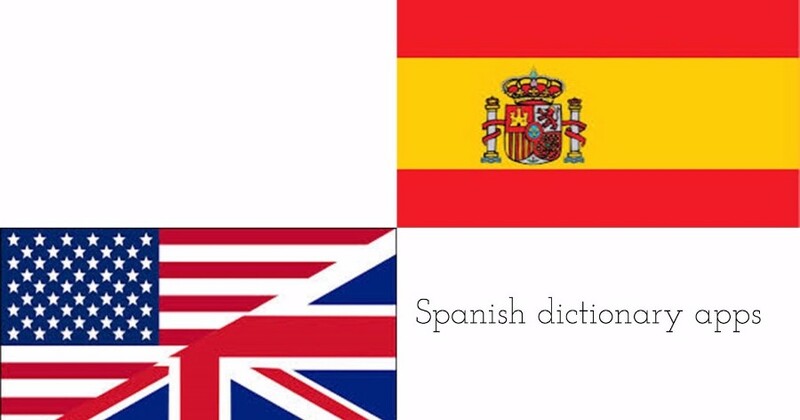 With the help of this Spanish Dictionary and Translation app, you can speak more than 40 languages, you can send translations simply through email, SMS, Twitter, Facebook and other social networks and, You can also look up definitions and translations for common words and phrases, with the help of your voice. 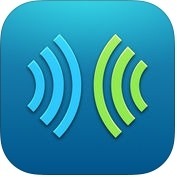 iTranslate Voice app is amazing and full-featured app for your iPhone and iPad. 6. 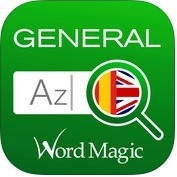 English Spanish Dictionary - General ( iPhone + iPad ) :- English Spanish Dictionary app is one of the best, fabulous and full-featured Spanish dictionary and translation apps for your iPhone and iPad. 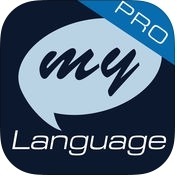 This Spanish dictionary and translation app has lots of unique features such as voice feature, huge collection of idiomatic expressions in both languages, more than 700,000 entries, over 500,000 translations & synonyms and more than 90 thousands definitions, bilingual voice options for regional pronunciation, conjugation of Spanish and English verbs, IPA phonetic transcription for American and British English, fuzzy search, more than 40,000 phrasal examples & famous quotes in both languages, share via social networks and more. 7. Translate Voice - Language Translator & Dictionary ( iPhone + iPad ) :- If you want to learn Spanish language easily and quickly, you can use Translate Voice-Language Translator & Dictionary app on your iPhone and iPad. With the help of this accurate Spanish dictionary and translation app, you can listen to translations in more than 30 languages in high quality, you can search translation history, you can show translate text in face to face communications and, You can also send translations through Facebook, Twitter, instant messenger, email and other social networks. It also supports more than 90 languages on your iPhone and iPad. 8. 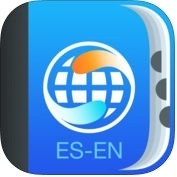 Dictionary English Spanish Compact ( iPhone + iPad ) :- With the help of this Dictionary English Spanish Compact app, you can learn Spanish or English without internet connection easily on your iPhone and iPad. This accurate Spanish dictionary and translation app has several effective and user-friendly features such as natural sounding voices for entries, definitions and examples in both British and American, conjugation of Spanish verbs, fuzzy search, mark favorite words easily, random word display, works offline but internet connection require only for voices, images and spell-check and more. You can also choose from 3 different themes for background color and font on your iPhone and iPad. 9. Spanish Translator and Dictionary - SpanishDict ( iPhone + iPad ) :- This Spanish dictionary and translation app is one of the most trusted Spanish dictionary apps available on Apple App Store for iPhone and iPad. 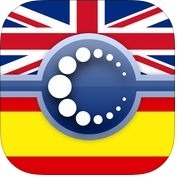 Spanish Translator and Dictionary-SpanishDict app has amazing and high quality features such as full Spanish-English dictionary with examples, regional usage, audio pronunciations for dictionary entries, full conjugation tables for all tenses, 3 separate in-app translators but internet connection needed, more than 700 common Spanish words and phrases, a challenging word game to help you improve your Spanish language, and more. You can also learn a new Spanish word each day with this app on your iPhone and iPad. 10. Spanish English Dictionary - Offline Translation ( iPhone + iPad ) :- If you want to translate Spanish words into English fast, easily and without internet connection on your iPhone and iPad, you should download Spanish English Dictionary-Offline Translation app. With the help of this accurate Spanish dictionary and translation app, you can tap the word to see its meaning in popup window, you can correct mistype words, you can search image dictionary, you can also search sentences, phrases and related words etc. 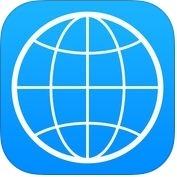 You can also install more dictionaries and more languages on your iPhone and iPad. 11. iTranslate - Language Translator & Dictionary ( iPhone + iPad + iMessage + Apple Watch ) :- It is one of the fantastic, user-friendly and accurate Spanish dictionary and translator apps for iPhone, iPad, iMessage and Apple Watch. With the help of this iTranslate app, you can translate text easily or start voice-to-voice conversations in more than 90 languages, you can listen to translations in male or female voices, you can switch between different dialects, sharing and more. You can also learn Spanish word with synonyms and different meanings on your iOS devices. 12. SayHi Translate ( iPhone + iPad ) :- SayHi Translate app has best user interface, accurate and easy to use, giving you the option to type words or to speak them. With the help of this Spanish translate app, you can change languages quickly and easily, you can choose male or female voices, you can improve your translation dictionary by correcting or suggested translations, you can browse through recent translations or save a translation for quick access and You can also tap your translation to edit and make changes without having to speak it again.